News How is Tequila made? How Villa Lobos Tequila is made? 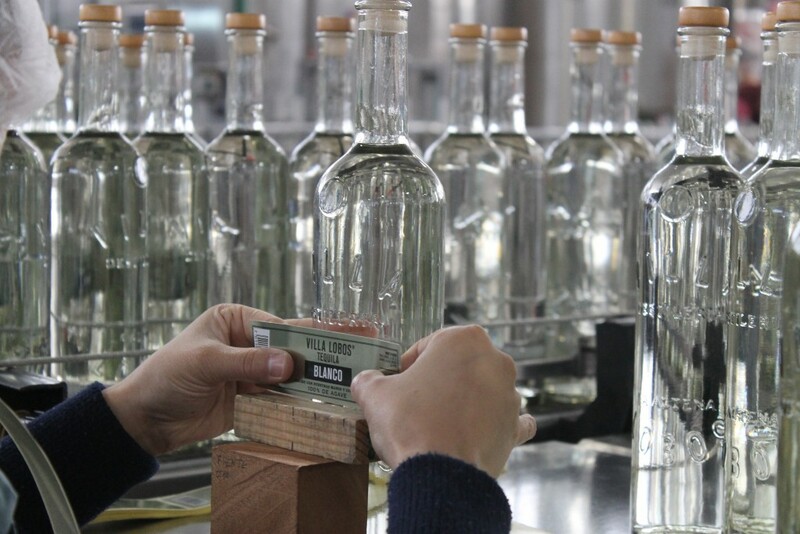 To see where Villa Lobos Tequila is distilled, is to go back over a century to one of the last distilleries of its kind in Mexico where production is still done by hand in the old fashioned way, slowly and with ‘corazon’ (heart). 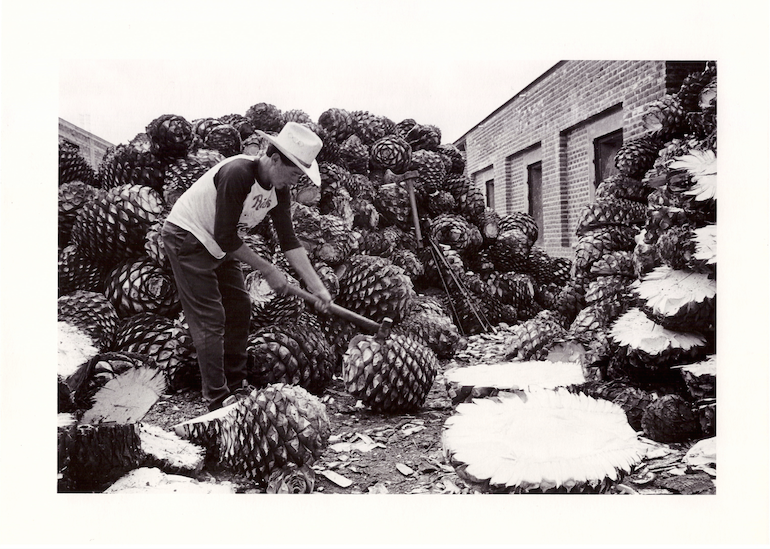 Unusually, the agave used for Villa Lobos is entirely harvested by agaveros at the Camarena Family plantations in Los Altos, (the celebrated Arandas highlands). This not only ensures the very finest plants are used, but unlike most tequilas, even super- premium names, we only use our own agave. 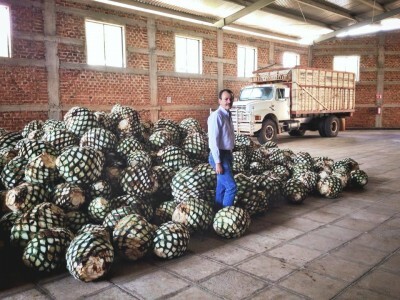 (Actually we also sell some of our excess agave to other famous Tequila brands!). Carlos, regularly walks through the agave fields to see how the plants are developing, as his Father and Grandfather used to do. An agave plant usually takes between 8 -12 years to grow to its full size and weighs approximately 40-100 Kg. The Jimador who is a Mexican farmer specialising in the harvesting ‘The blue agave plant is actually a succulent (and not a cactus as many think) of the agave plant – He uses a ‘coa’ ( a razor sharp rounded blade on a long stick) to harvest the agave by first cutting away the outer leaves of the agave, leaving only the centre fruit known as the Piña (as it looks like a giant pineapple). 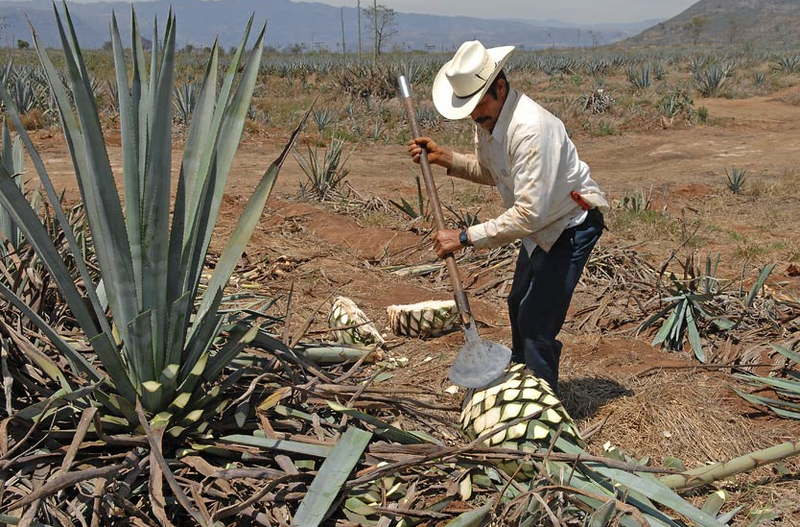 At La Alteña to this day, every step from harvesting the agave to bottling, is done by hand, in the most traditional way. The Piñas are then taken back to the distillery and axed in half and a “V” shaped bitter wedge is removed from near the root (again by hand). Many of the more modern distilleries use chain/rip saws or different machinery in order to save time and lower costs of manpower. The smell of the Agave hearts is beyond description and is like the sweetest of honey… indeed it is called,‘ miel de agave’ (honey of the agave). 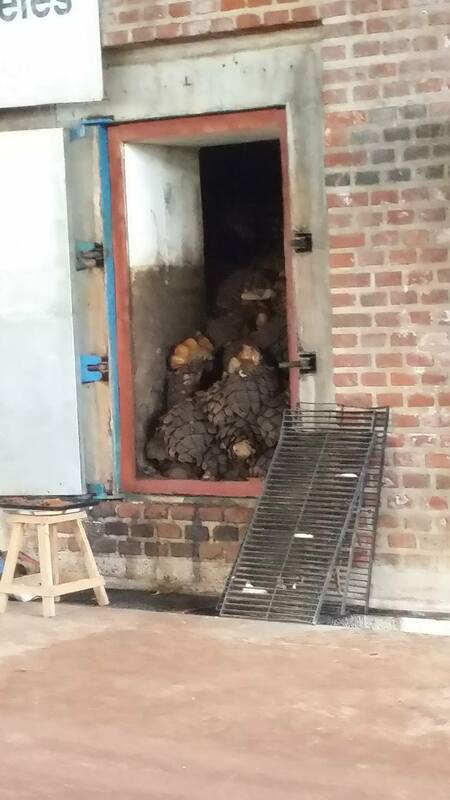 After cooking in the ovens and cooling down, the halved agave piñas are then crushed in the mill, partly to separate the agave juice from the fiber, and also to make it easier to ferment the natural sugars into alcohol, which is the point of fermentation. Natural spring water from our own artesian well, and then added to the juice before fermentation. The mash of fibers and juice is then moved into large old wooden fermentation tanks. 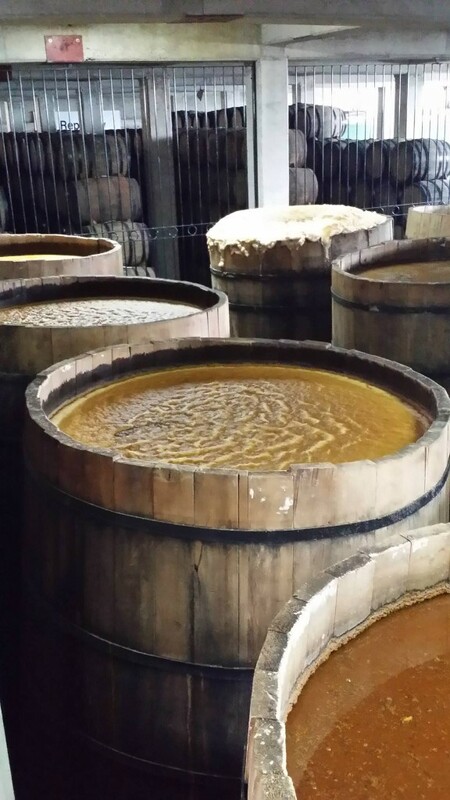 When the sugars are fully fermented in the wooden vats, the ‘beer-like juice’ (mosto) around 5 – 6 % alcohol is taken into the copper pot stills and slowly distilled twice to produce Villa Lobos. The result of the first distillation (taking 1 ½ – 2 hours) is known as ‘ordinario’ and eliminates some of the fatty acids and oily compounds from the distillate coming across at around 22- 26% vol. This would be an undrinkable, even dangerous liquid to actually drink, given the contents of higher and lower alcohols, including methanol, which if not removed is potentially deadly. That’s why illegal distillation is so discouraged 1. The government lost duty revenue, and 2. If not properly carried out, people go blind and die !. We then carry out the second (fractional) distillation to produce the smoothest Tequila we can make with the most delicate aromas and flavour. First to come across are the high alcohols ‘Cabezas’ (heads), then the part we want to keep and treasure ‘Corazon’ (heart), and finally the lower alcohols like Methanol, the ‘colas’ (tails), which together with the cabezas are dispensed with as unsuitable alcohols . 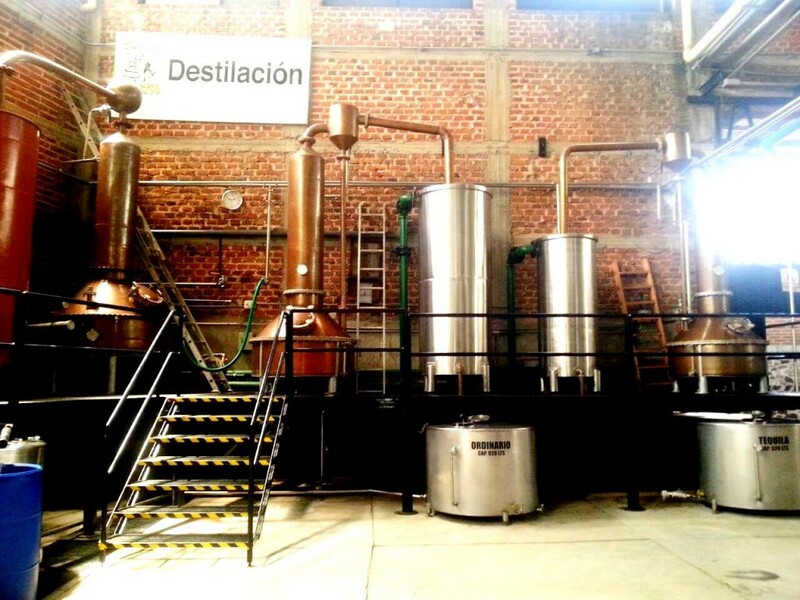 The double distillation process is performed first in a stainless steel pot still of 3,500 liter capacity and then in a copper pot still of 300 liter capacity. In order to marry and soften the flavours we do something unique to us … we keep the blanco in steel tanks for 6 months to allow it to rest and slowly evolve, so its flavours and bouquet are enhanced. This delay is expensive…normally tequila blanco is bottled immediately by most Tequileros, however Villa Lobos is not ‘most Tequilas’! The blanco thus has an incredibly smooth finish but retains the famous spicy, white-pepper nose so beloved of the great Tequila houses of Los Altos region. 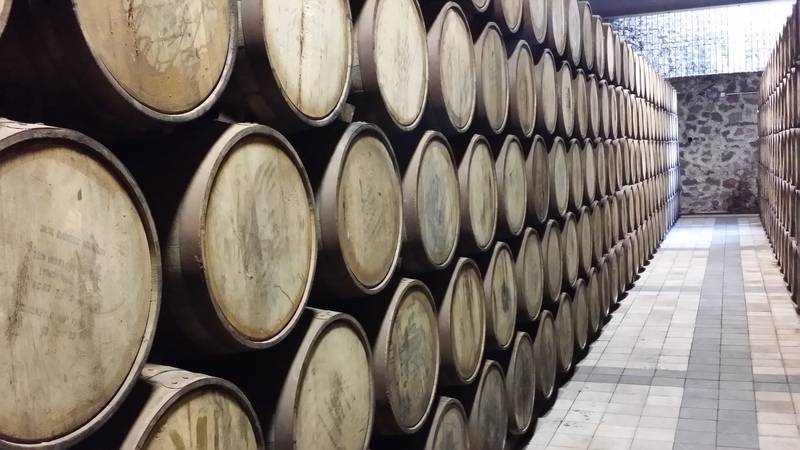 Some of the Tequila (Reposado) will be taken away and left in American oak Barrels to mature for up to 12 months. They will take on the darker gold tones of the oak barrels; and some will lie for 2 years or more, and become darker and smoother and labelled as Añejo (old). Just a few barrels will be retained for over four years in barrel, for bottling as Extra Añejo, an expensive luxury to slowly sip and savour for special occasions. From planting the hijuelos (baby plantlings) to labeling the bottles, every step at La Alteña Distillery is done by hand. This is what makes Villa Lobos tequila so beautiful and unique. Each bottle is inspected , signed and numbered by hand by the bottling line manager of the day. “I specially select each barrel after a personal tasting. Only the very best quality product will be bottled as Villa Lobos. This tequila is made to honour and respect the memory of my father Don Felipe Camarena and my grandfather, founders of the dynasty. 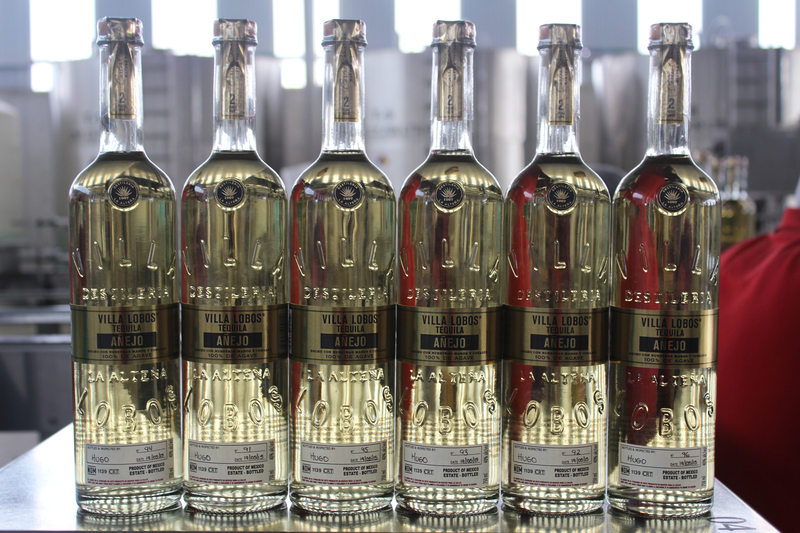 In their name I am proud to bring you Villa Lobos, one of the greatest tequilas in all of Mexico”. It takes about 6- 7 kilograms of piña to produce only 1 litre of 100% agave tequila! in 2013-2014 the prices of the ripe blue agave plant shot up from around 3 centavos (cents) a kilo to 6-7 Pesos a kilo in – a spectacular increase of many 1000’s percentage ! 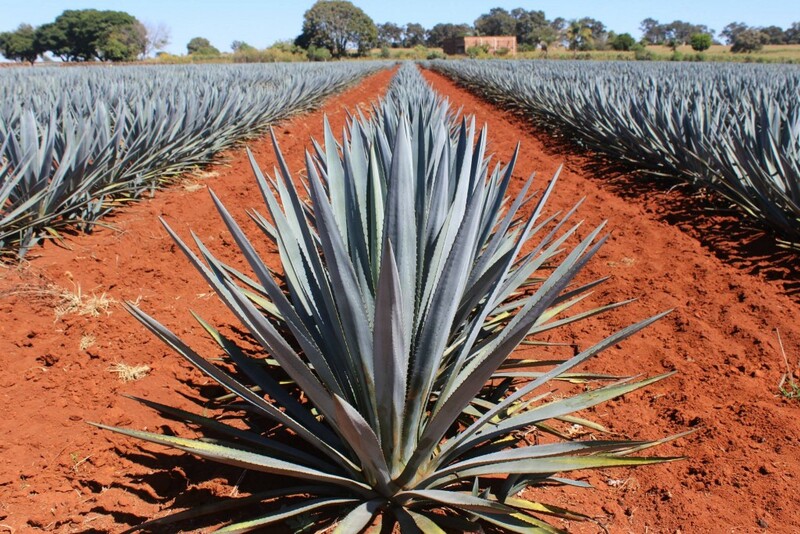 There are HUNDREDS of different types of apples which can be used to make cider etc, hundreds of varieties of pears, and tomatoes, DOZENS of different grape varieties used to make wine, but only ONE permitted type of Agave plant, the blue Agave (Agave tequilana) permitted under CRT rules, to make genuine Tequila.That is VERY unusual, and from an agronomy perspective this could be VERY risky ! Just one new disease variant, one new pest crisis, some sudden climatic crisis , and NO MORE TEQUILA ! So you better drink up now.